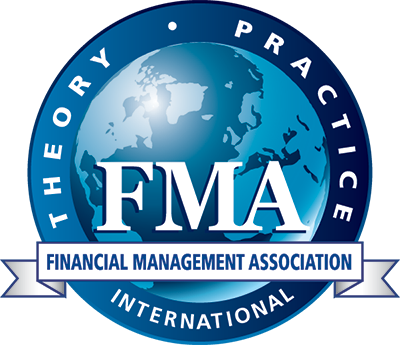 We honor the memories of FMA members who have passed away and recognize their intellectual contributions, mentorship, and friendship to the finance profession. Hansen joined the Freeman School in 2001 after serving 11 years as the R. B. Pamplin Professor of Finance at Virginia Tech University. He joined Virginia Tech in 1980 shortly after earning his PhD in economics from the University of Florida. Hansen also taught as a visiting professor at Vanderbilt University, the University of North Carolina at Chapel Hill, the University of Michigan and the University of Florida. He is perhaps best known for his research on initial public offerings of equity, which was part of his more general interest in the capital raising process and equity issuance. More recently, Hansen had developed a research interest in stock analysts and their forecasting activities, which led to several papers in leading journals. 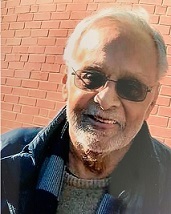 Dilip Kumar Shome, professor emeritus of finance, died Dec. 7, 2018. A member of the Virginia Tech community since 1983, Shome retired from the university in 2014 and had been living in Charlottesville, Virginia, since then. He served as head of the Department of Finance, Insurance, and Business Law in the Pamplin College of Business from 1996 to 2000. During this term, the department achieved some of the highest levels of research productivity in elite finance journals due to Shome’s focus on retention, rewards, and resource allocation for faculty who were active researchers. As the chair of the committees charged with restructuring the curriculum for the undergraduate and MBA programs, he led the major curriculum revisions implemented in the department in the past 10 years. Shome contributed to the college’s international programs by leading study-abroad groups, developing exchange programs, and teaching abroad. 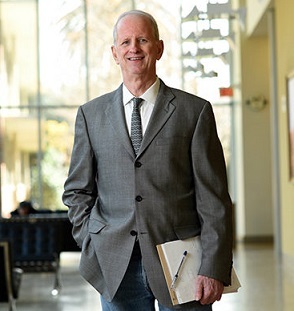 He directed his department's Ph.D. program for two three-year terms, helping to recruit and advise Ph.D. students and to implement curricular revisions. An award-winning teacher, Shome received the college’s Warren Holtzman Outstanding Educator Award on two occasions, its Ph.D. Teaching Award, and two Certificates of Teaching Excellence, as well as a University Certificate of Teaching Excellence. Oliver (Rawley) Thomas, 71, of St. Charles, IL, died Thursday, January 11, 2018, at Fair Oaks Rehabilitation & Health Care Center, South Beloit, IL. He was born September 20, 1946 in Newton, MA, the son of Alexander and Margaret (Moody) Thomas. Oliver received his master’s degree from Carnegie Mellon University, Pittsburgh, PA. He married Carol Ann Fortney on May 27, 1978, in the Little Brown Church, Nashua, IA. She predeceased him on November 21, 2008. Rawley worked for Super Value, the Boston Consulting Group, Callard Madden Associates, and the Holt Planning Association. He was a member of the Christ Evangelical Lutheran Church in Sharon, WI, the Financial Management Association of Chicago (FMA) and the Practitioner Demand Driven Academic Research Initiative (PDDARI) Project. Survivors include his children, John Thomas of Sioux City, IA, Alexis Rowcliff of Eldon, MO, and Kimberly Thomas of Roscoe, IL; like a son, Robert Harston of Minnesota; grandchildren, Cody and Cassandra Rowcliff; and sister, Sue (Marlon) Frakes of Colorado. He was predeceased by his parents and wife, Carol Ann. Mike Hemler, 64, of Granger, IN, passed away on Wednesday, February 14, 2018, in South Bend. Mike was born July 21, 1953, in Dayton, OH to the late Helen (Rose) and Charles Hemler. He is survived by his wife, Deb; his daughters, Suzanne, Megan and her partner Mike, and Michelle and her husband Pablo; his stepdaughter, Amanda Banik (Joe Esch); stepson, Andrew (Mary Elizabeth) Banik; his sisters, Carol (Larry) Quenette and Patricia Hemler; along with many nieces and nephews. Mike was preceded in death by his parents and his sister, Charlene Yungck. Mike was an Associate Professor of Finance in the University of Notre Dame's Mendoza College of Business. He worked endless hours to be sure that he gave his students the best possible education experience. Education was so very important to Mike. He knew at a very young age that he wanted to be in academics. Mike earned two doctoral degrees - one from the University of Chicago and the other from Washington University in St. Louis. Mike was also a sports enthusiast. He grew up playing competitive tennis in St. Louis. He followed his Notre Dame sports teams and his St. Louis Cardinals, played tennis every week, and spent many hours at the gym. Mike also had a passion for growing roses. He had many beautiful varieties growing around his home and he especially made sure to grow the long stem fragrant varieties so he could have cut fresh roses every day during the summer for his wife, Deb. Professor Peter F. Christoffersen, Professor of Finance and TMX Chair in Capital Markets at the University of Toronto, passed away on June 22, 2018. He received his Ph.D. from Penn’s Department of Economics in 1996. At Toronto, and earlier at McGill, he emerged as a leader in empirical asset pricing, financial econometrics, and financial risk management. His many well-known contributions include “Evaluating Interval Forecasts” (International Economic Review, 1998), “Backtesting Value-at-Risk: A Duration-Based Approach” (Journal of Financial Econometrics, 2004), and “Illiquidity Premia in the Equity Options Market” (Review of Financial Studies, 2018). Professor Christoffersen advised twenty-five doctoral students and received many honors and awards. His classic 1998 paper is one of the ten most cited in the International Economic Review since its founding in 1960 by Penn Nobel laureate Lawrence R. Klein. Click here to view UToronto's "Remembering Peter Christoffersen" page.